Together at Midnight is perfect for reading around the holidays. Kendall and Max, two high school seniors and classmates, cross paths in New York City when they witness a tragic accident. Neither can forget what happened nor the guilt they feel in the aftermath. It brings them together and when a waitress dares them to perform as many random acts of kindness to strangers as they can before New Year's Eve, they welcome the challenge. Soon they find themselves exploring the city together, sharing stories about their personal lives and helping people along the way. What made the book stand out was how the author chose to tell this story. In addition to the alternate point-of-views between Kendall and Max, there would be chapters told from the perspective of each person they helped. It really drove home this idea that we're all going through something and how a kind word or small gesture can make a huge difference. And all the while, Kendall and Max are making a connection themselves as we learn about her life-changing semester abroad and his complicated holiday and reasons for his gap year. 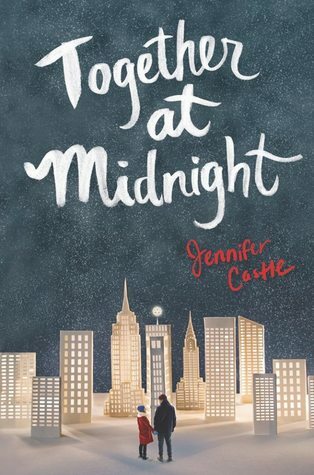 Castle has a knack for writing this quiet novels with strong themes and this was no exception. Do I recommend? I do! If you enjoy reading holiday-themed books during December, definitely keep this one in mind. I'll be honest, Reign the Earth wasn't on my radar until I unexpectedly received an ARC from the publisher. But wow, thank you to whoever decided to send it to me! Once I started reading, I didn't move from my couch until I finished. It's a dark tale with a vivid world, rich storytelling and memorable characters. 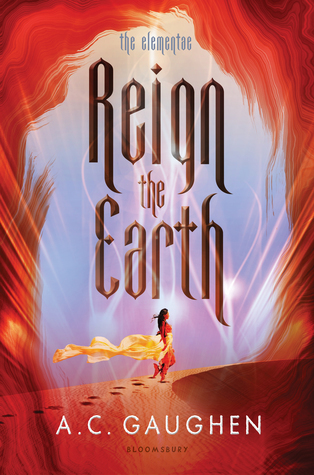 Shalia is tired of war and makes the self-sacrificing decision to marry Calix and become Queen of the Bonelands to ensure her family's safety. In only a few pages, we get a glimpse into the heroine every reader will undoubtedly root for. She loves her parents and her many siblings. She's brave and willing to do whatever it takes for peace even though she's scared. And that's just the beginning! But already I could see elements I loved – a fierce heroine, family and a complicated romance. Oh and of course, magic. Shalia soon discovers that her husband's motivations for marriage was to find a way to exterminate the Elementae, people who can control earth, wind, air and fire. It isn't until Shalia's feelings for her husband's brother (see what I mean by complicated? also - swoon!) begin to surface that her own power over earth is unleashed. She never knew for certain she had abilities until now and suddenly she's caught between her husband's obsessions, the peace she longed for and her own future as an Elementae. Her journey is a rollercocaster ride and I was invested every step of the way. Do I recommend? I can't recommend this book enough! Buy it or borrow it, just make sure you read it.